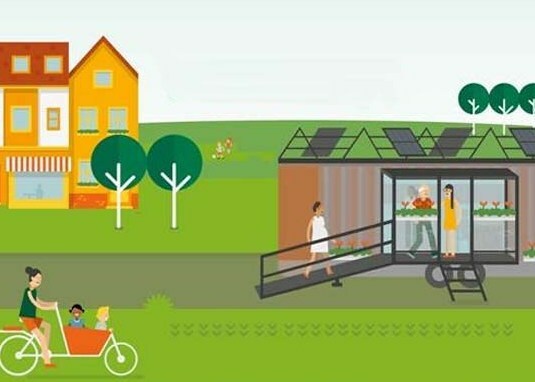 TU Delft, Antwerpen, Mechelen, EOS Oostende, Universiteit Gent, Eandis, Rotterdam, Breda, PSEE Picardie, and Kent County Council work together in the project “Triple-A: stimulating the Adoption of low-carbon technologies by home-owners through increased Awareness and easy Access”. The first milestone within this project has been achieved: the participating local authorities successfully identified their strategies to increase the adoption of low-carbon technologies by homeowners. Related to this milestone, TU Delft delivered amongst other two main research reports - one on possible web functionalities for local authorities, and one on pop-up consultancy centres for local authorities – and input for inventories of low-carbon technologies, financial schemes, target area analyses, monitoring protocols, engagement strategies, business models, marketing plans, project management and communication actions. More information about Triple-A can be found here. Do you want to receive regular news regarding homeowner activation for the adoption of low carbon technologies? Join the Triple-A professional community on LinkedIn. Triple-A is coordinated by TU Delft, funded by the European Interreg 2 Seas programme and co-financed by the European Fund for Regional Development (ERFD) under grant agreement No 2S02-029, and co-funded by the Province of South-Holland. In 2017, the project was supervised by Erwin Mlecnik (MBE) and supported by Ad Straub (OTB), Frits Meijer (OTB), Sylvia Janssen (OTB), Alwin Wink (Valorisation Centre) and Vincent Gruis (MBE).